In a game of musical chairs, what do you do if someone gets to the last chair before you? 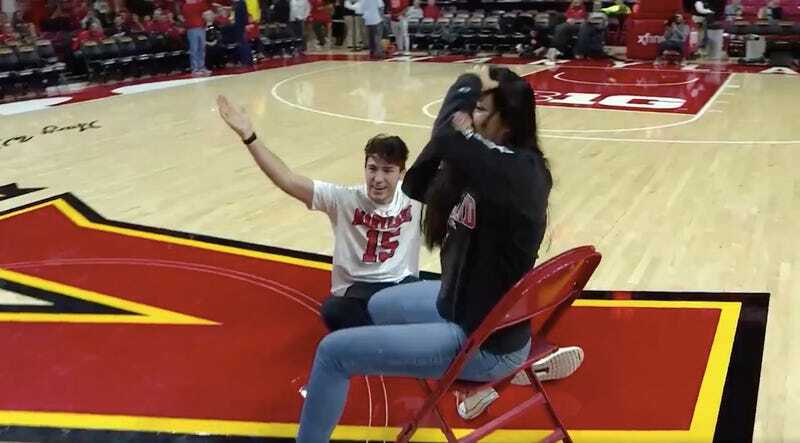 Do you try to remove them from the chair, or do you, as this Maryland basketball fan did, remove the chair from them? This is textbook musical chairing. The victor kept her legs moving, worked around her toppled opponent, and didn’t give up. 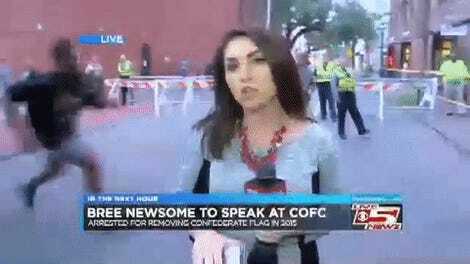 The scouts are going to love that.